Be sure to scroll to the bottom of this post for a 1-day coupon code for my new favorite pattern! Hey guess what? We're buried in snow again. I've always enjoyed living in the Midwest and the changing seasons, but this winter is really testing that feeling. What's worse, AB HATES going out in the snow (ask me how I know) so we can't even go out and make a snowman or an igloo or anything. Confession: I've always wanted to build an igloo. At least I can sew up a bunch of pretty scarves to keep winter colorful! 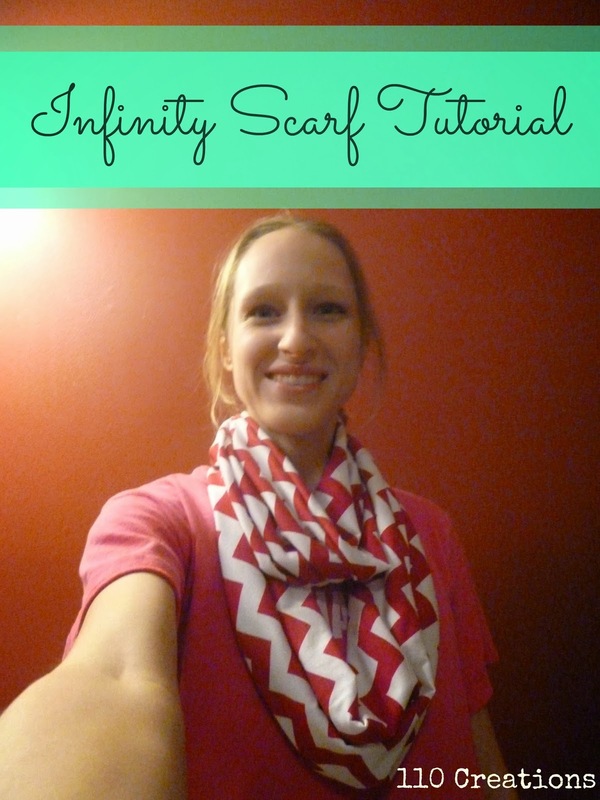 And today I have a tutorial to share for making your own infinity scarf! Obviously, there are a million of these all over the internet. I know because I looked at them before Christmas. 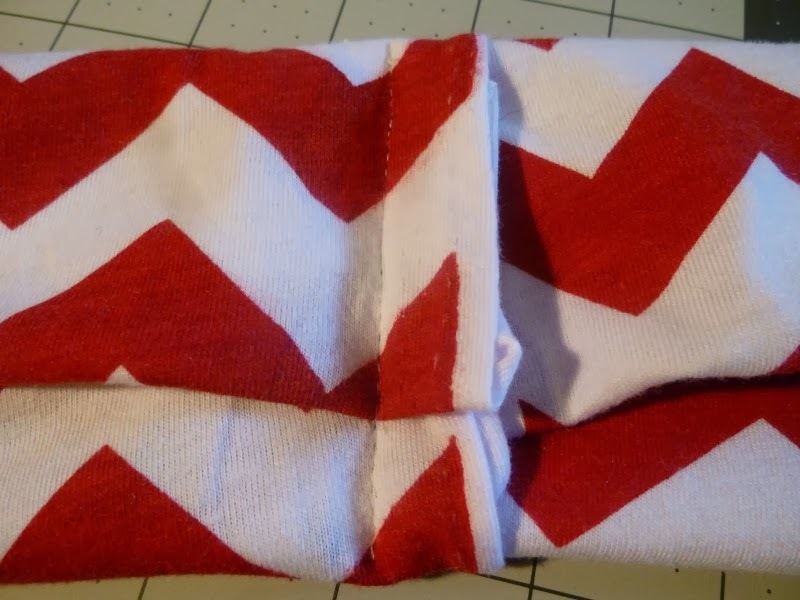 I made a few scarves as presents, and I think all of them were sewn a little differently. By the end, I had a technique I liked that was a little different than what I had seen in other tutorials. 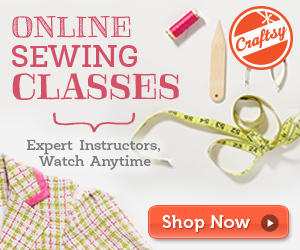 No hand-sewing required! 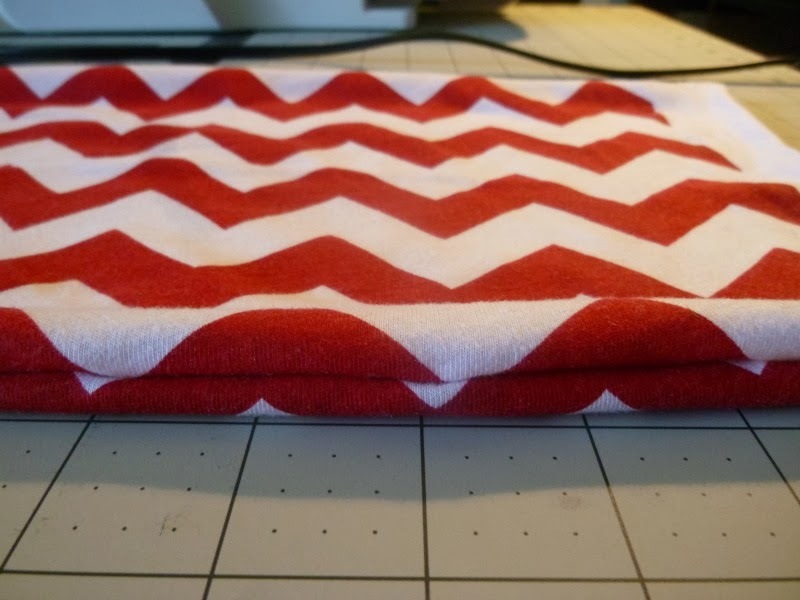 You will need a half yard of knit (stretchy) fabric and your sewing machine. 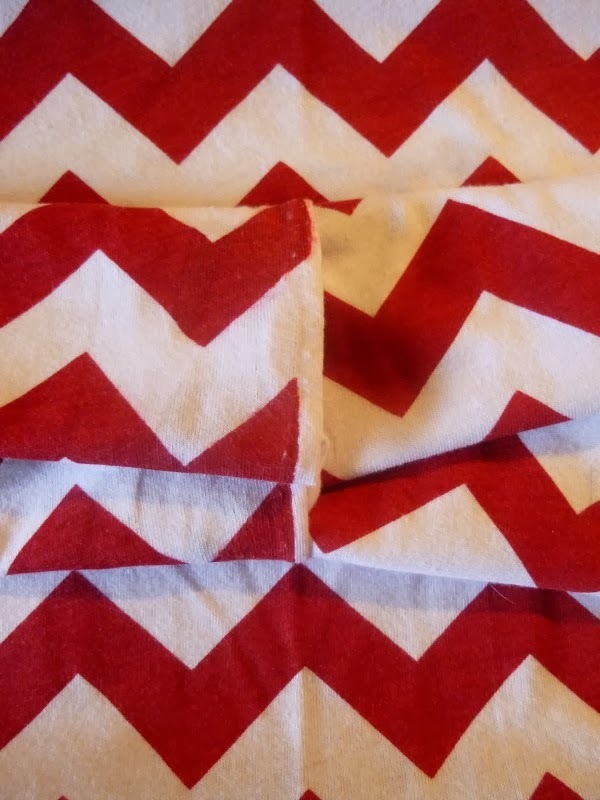 I used my serger and the project went super fast! 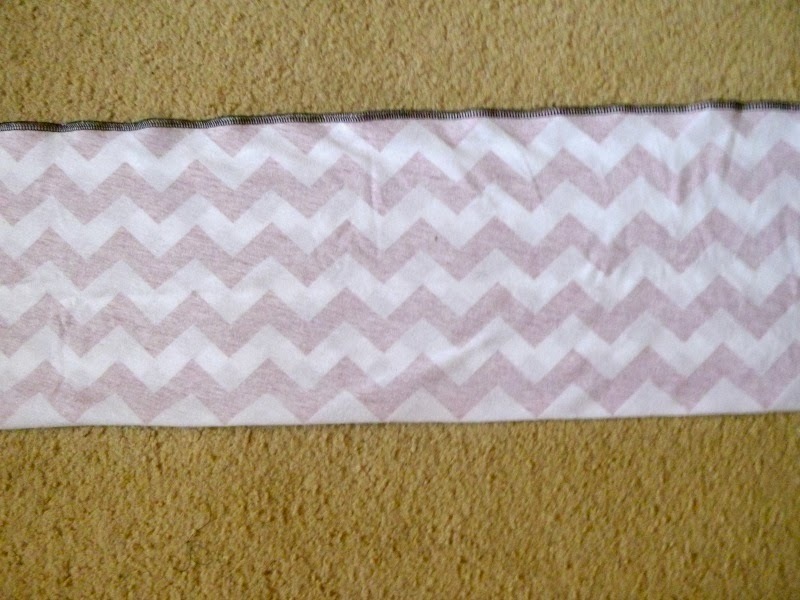 To help you visualize, a half yard of knit fabric is a rectangle that is 18" long, and 60" wide. 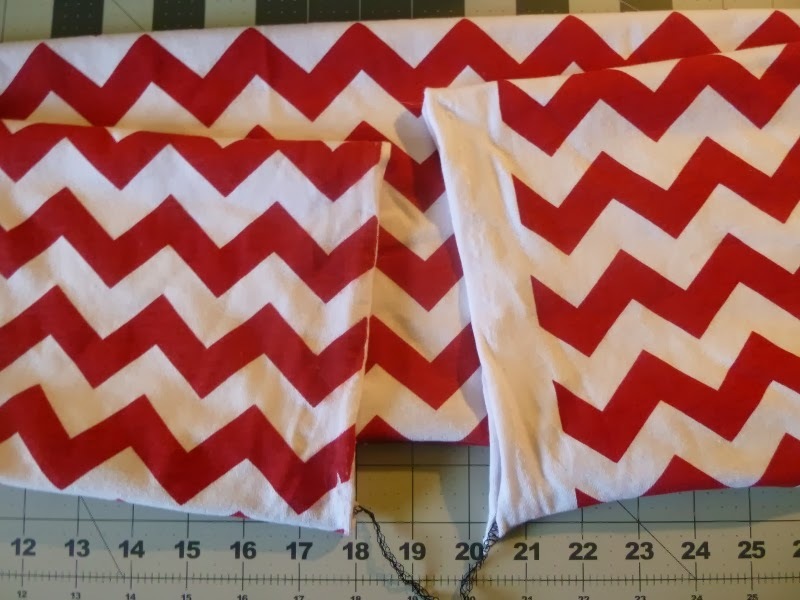 The width is predetermined when you buy the fabric. 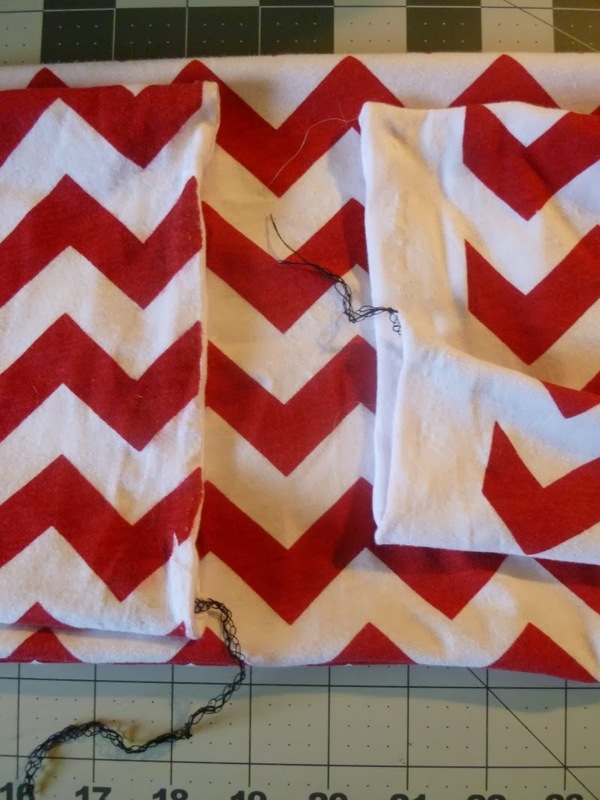 The length is what you choose at the cutting counter (1 yard, 1/2 yard, etc.). I hope that's clear! 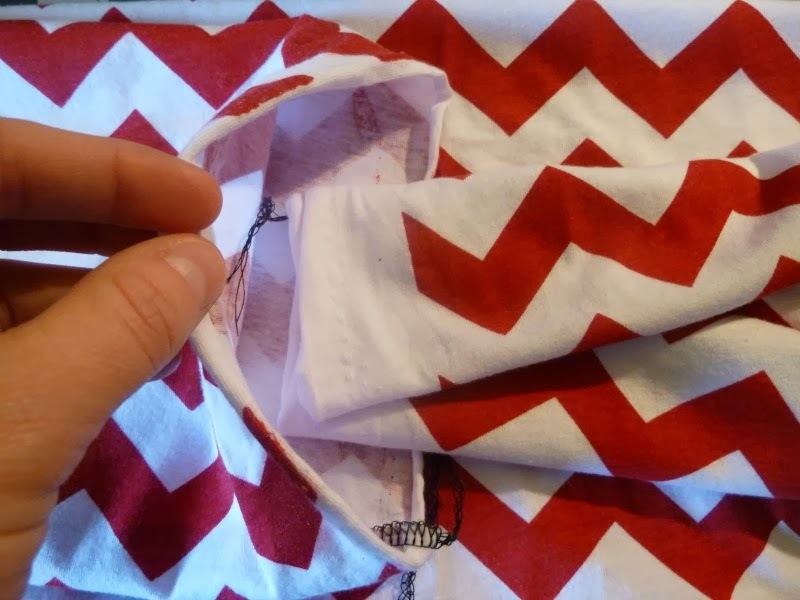 First, fold your fabric, right-sides together, and match the long edges. Sew the long edge. 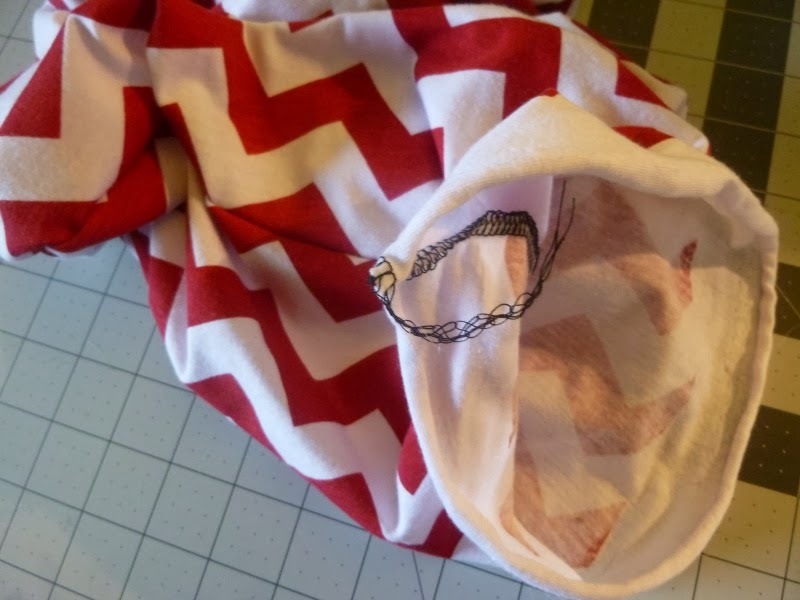 I had black thread on my serger...sorrynotsorry...but you should use a coordinating thread! You will now have a tube of fabric. Turn it right-side out. Flatten the scarf so that the one seam is on the edge. 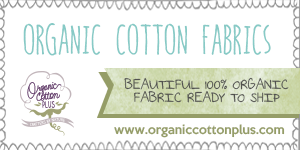 If your fabric is real springy, you may want to press it flat. I didn't press mine because I wanted a nice fluffy scarf. Take the ends of your fabric tube and bring them towards each other. Make sure the scarf isn't twisted at all. 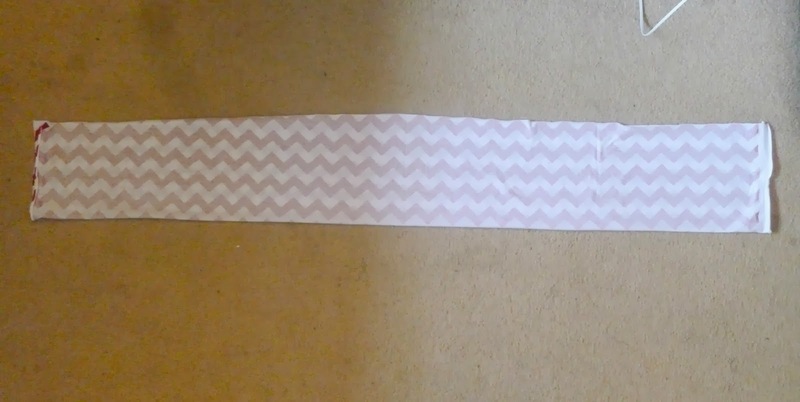 Starting on the end on the right, grab the bottom-right corner and fold it to the middle of the tube. 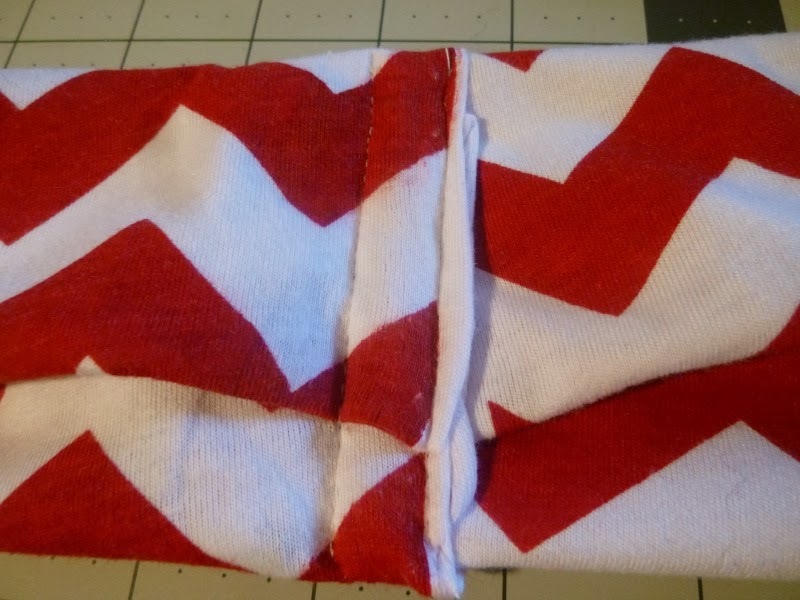 Next, take the top corner and fold it towards the middle, on top of the previous fold. You've now folded the end of the tube into even thirds. Next, we'll insert the folded portion inside of the open tube end on the left. ...and then fold the top down. Next, we'll sew all these folds together. Pin the layers to keep everything in place. 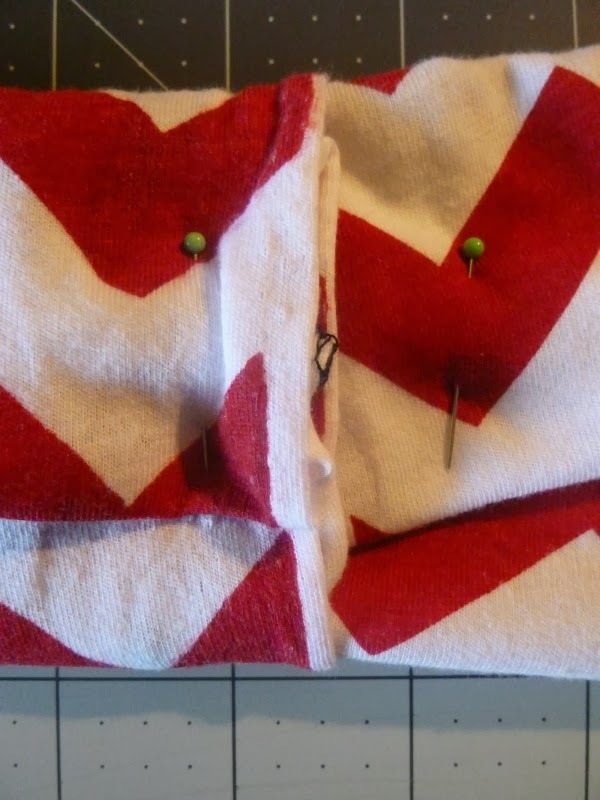 Using a slightly longer stitch length (3.0 or 3.5) and a regular straight stitch, sew everything together. 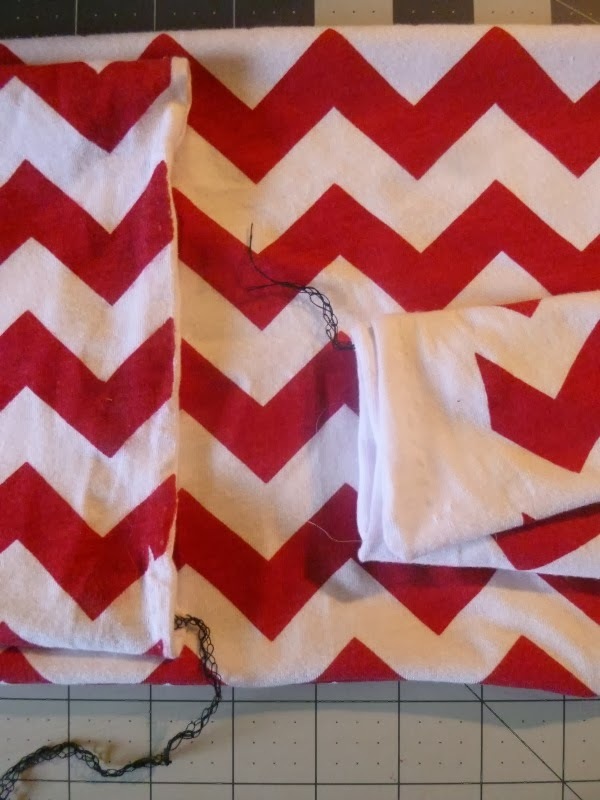 For extra security, sew it again next to the edge. And you're done! 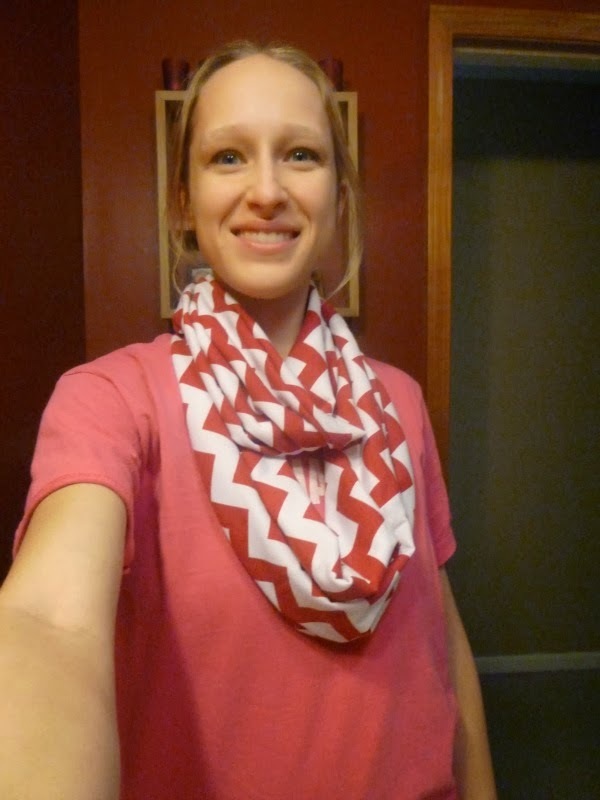 I like this style of scarf in particular because you can put the sewn part behind your neck. This portion is flatter than the rest of the scarf, so you don't have all that extra bulk tickling the nape of your neck (is that just me?). 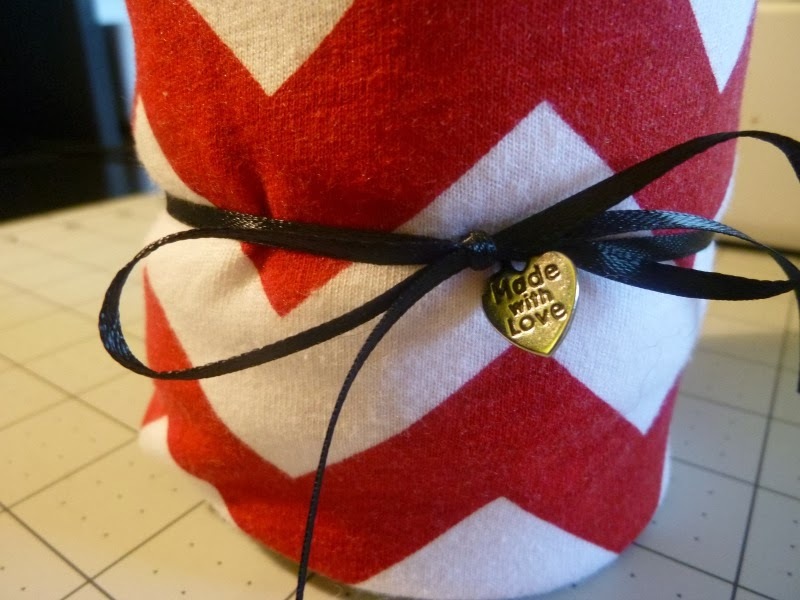 And if you're giving it as a gift, add some ribbon and a thoughtful charm, and you're good to go! Questions? Comments? Let me know below! 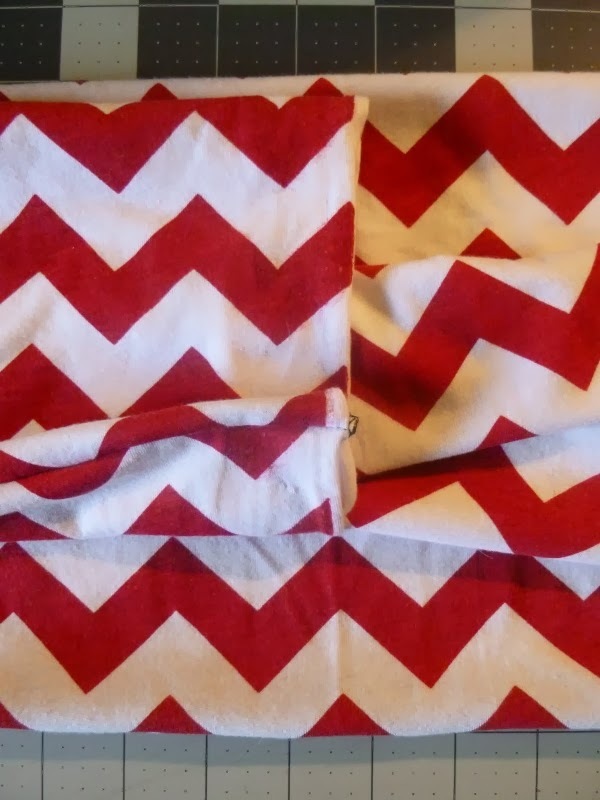 How adorable is this new pattern from Peek-a-Boo Pattern Shop? 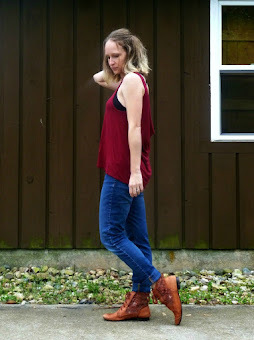 The Boardwalk hoodie and henley (affiliate links) has so many variations and options, all of them cute! Today only, to celebrate the release, Amy is offering 15% off! Use code "boardwalk15" during checkout. I already bought mine and can't wait to sew up a dress for AB! 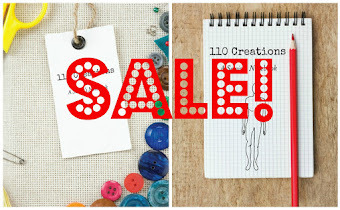 Free shipping on A Sewist's Notebook!